Braun Linen Service offers restaurant linen rental service to fine dining, country clubs, banquet rooms, commissary, café’s, and all food and beverage facilities. Braun Linen Service is a commercial service facility specializing in all the basic needs to run your day to day operation. 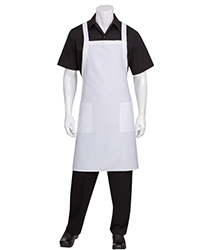 We offer culinary apparel, table linens, uniform rentals, apron rentals and towel rentals. Braun Linen Service has over 85 years of experience in the commercial laundry service and restaurant linen service. We are the leader in quality service and textile products!